Within change in their status of splitting with foundation, from the assets of company – Victoria Consulting ltd. part of assets are transferred, along with a part of related obligations into possession of – Aurora Green ltd. Property (rights and obligations) which are assigned this way, also entail references for all projects that are completed or commenced prior to the separation. Training „Waste management and environmental protection“. Joint Venture between “RIVOLI” S.P.A. “INTERCANTIERI VITTADELLO” S.P.A. “ADIGE BITUMI” S.P.A.
Joint Venture between COLLINI LAVORI S.P.A. RIVOLI S.P.A. FRIULANA BITUMI S.R.L. GEMAX D.O.O. Analysis of present state of environmental pollution at the location of previous “IMT-FOM” plc. Preparation of request for obtaining permits (for operator-activity waste management). - Preparation of request for obtaining permits (for operator-activity waste management). Preparation of request for application for conducting Operator activity, request for EIA. 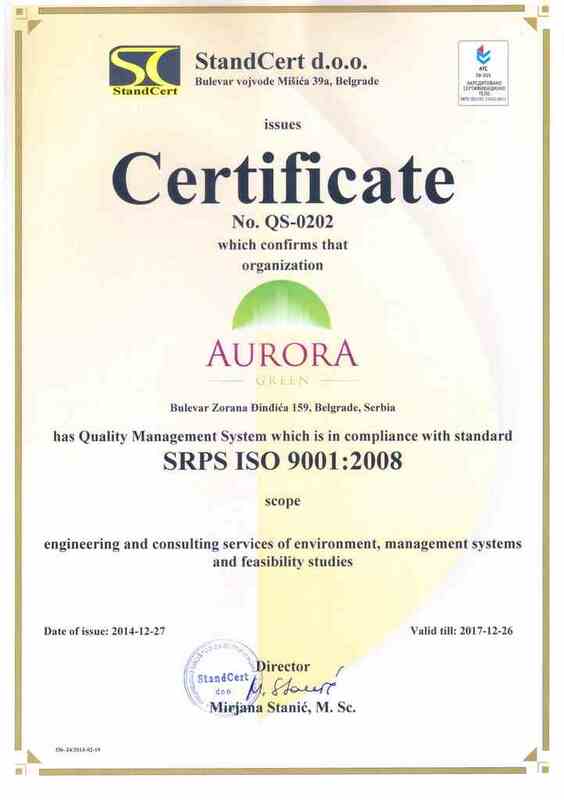 Consulting for ISO 9001:2000 – improvement of the system, Internal audits ISO 9001:2000. Consulting services – ISO 9001:2000 implementation, also after certification: ISO 9001 maintenance of the system (different kind of trainings). 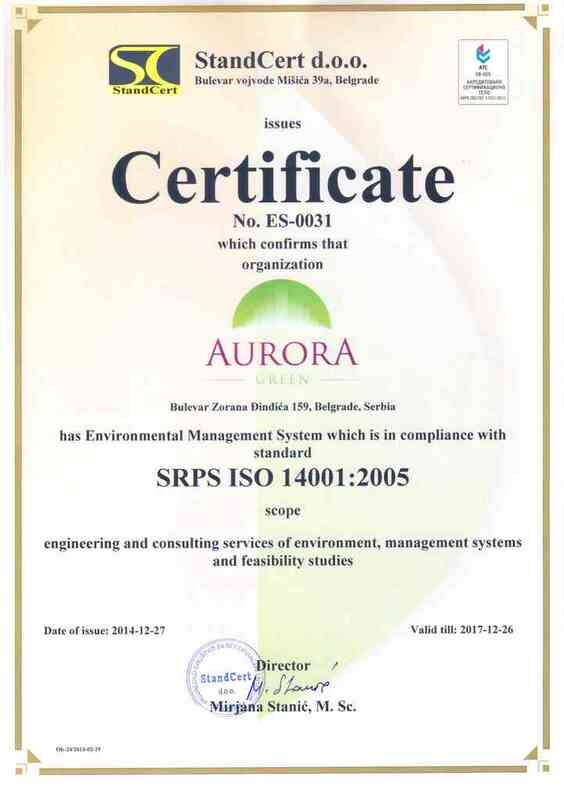 ISO 14001 consulting. Consulting services – integrated management system ISO 9001/HACCP. Consulting services – ISO 9001:2008 implementation, ISO 14001/BS OHSAS 18001 advising. Realization of trainings for the companies: „Increasing the competitiveness of companies through a system management standards, quality and environmental tools“. Realization of trainings for the companies: „EMAS III“.